We know your time is limited so we’ll be very brief in bringing you this important news: A semi hauling hot dogs caught on fire on Interstate-55 in Missouri early Monday morning, according to Cape Girardeau TV station KFVS. No one was injured. The photos are amazing. Technically this truck did not overturn, which if it did, would be featured in our monthly This Month In Overturned Trucks roundup. Watch for our March 2019 edition this Wednesday! This happened near Sikeston, Missouri, where I had some really fantastic pulled pork once. 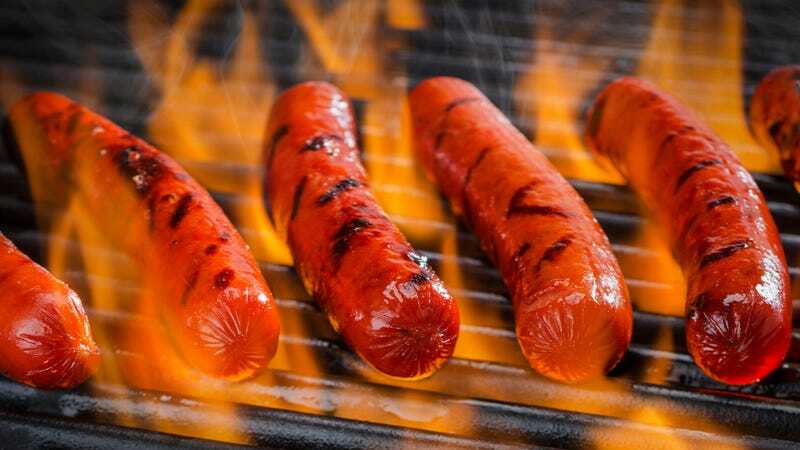 Is a hot dog truck that caught on fire a chardog?